Do you live in Burundi, or planning to celebrate this Christmas there? 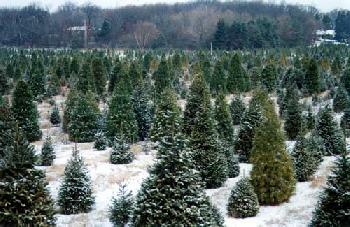 Then, forget about decorating your house with a natural Christmas tree. Rather, buy an artificial one from the market – or you will be legally punished. Yes, in a bid to save the tiny central African nation’s rapidly dwindling forests, authorities in Burundi have slapped a ban on natural Christmas trees, a senior government official said on Thursday. Since Burundi is a heavily Christian country, the Christmas tree market alone can be blamed for an annual loss of about 80 000 conifers, amounting to about 80 ha of forest. Although anecdotal evidence suggested a dearth of natural trees for sale in the capital, the impact of the ban on this year’s Christmas was not immediately clear. According to a correspondent in Bujumbura, peasants from the countryside had traditionally flocked to sell cut conifers in the capital. Officials said that offenders will likely be charged under current illegal logging laws that can bring a hefty fine on conviction.